If you're a big fan of rubbing elbows (or sharing a dining hall) with royalty, one of these colleges might be right for you. Kate Middleton is living proof that choosing the right college will result in you becoming a princess (ok, well maybe not for everyone). If you’re an American who’s enchanted by the world’s royal families, you may lament that you have no chance of ever shaking hands with a prince or princess. There’s hope, though -- some royalty head overseas to attend college in the U.S. If you’d like to meet these nobles, consider attending one of the five prestigious schools they frequent, listed below. If a school is good enough for royalty, it’s probably good enough for you too! Georgetown University doesn’t attract royalty because of its prestige alone; it’s also home to the Edmund A. Walsh School of Foreign Service, an international relations school that’s particularly useful to royals (after all, they’ve basically been born into foreign relations jobs). Prince Philippos of Greece and Denmark graduated from this program with a BA in foreign relations in 2008. His older brother Crown Pavlos of Greece and Denmark also went to Georgetown back in the ‘90s, graduating with a bachelor’s in international relations. Luckily, Pavlos didn’t have to room with a plebian – his cousin and roommate Felipe, Prince of Asturias, attended Georgetown at the same time. Lady Gabriella Windsor, daughter of the United Kingdom’s Prince and Princess Michael of Kent, attended Brown University, receiving her bachelor’s in comparative literature and Hispanic studies (of all things). Prince Nikolaos of Greece and Denmark (yes, he’s the brother of Georgetown’s Philippos and Pavlos) also graduated from Brown in 1993 with a BA in international relations. And then there was Emma Watson…is she considered royalty yet? Crown Princess Masako of Japan got a bachelor’s degree in economics from Harvard University before marrying Crown Prince Naruhito in 1993. We think that’s pretty impressive, but the Malaysian royal Raja Nazrin Shah may have her beat; he received two degrees from Harvard: a master’s in public administration and a PhD in political economy and government. 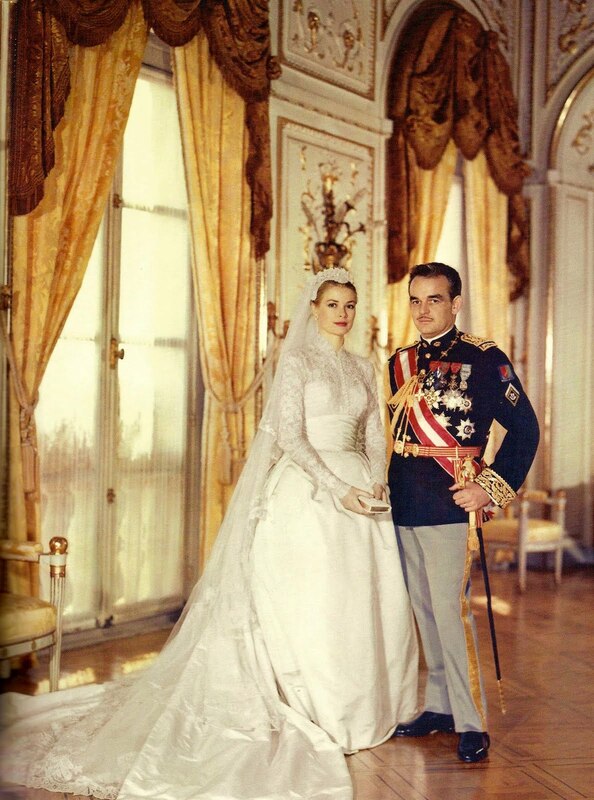 Though they didn't meet in college, Grace Kelly and Prince Ranier of Monaco also had a fairy tale wedding. Columbia University’s graduate school has done more than just attract royalty; it’s also provided the platform for regular citizens to be married into royal families. The now-married couple Prince Hussain Aga Khan (son of the Muslim leader Aga Khan) and Princess Khaliya (known as Kristin White when she was a student) first met at Columbia. She got her master’s in public health and he got his in (you guessed it!) international affairs. It’s like we always say; if a school is good enough for royalty, it’s probably good enough for you too!